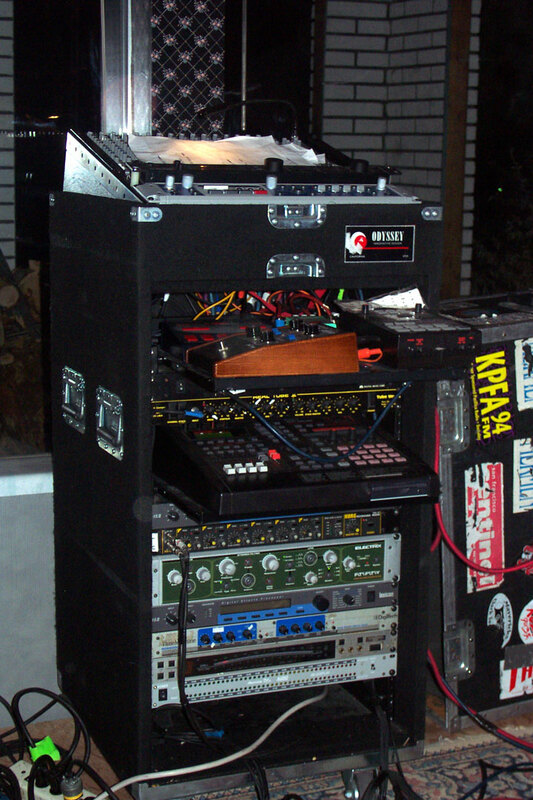 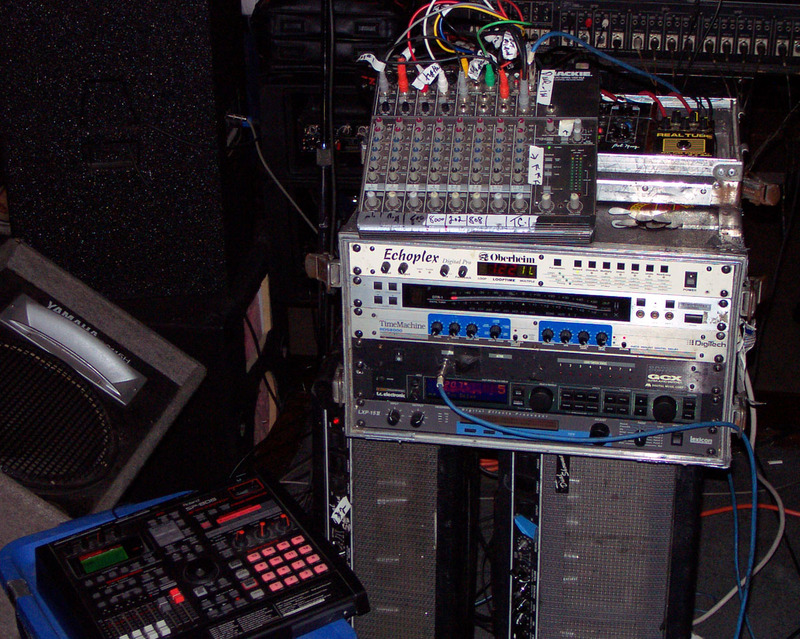 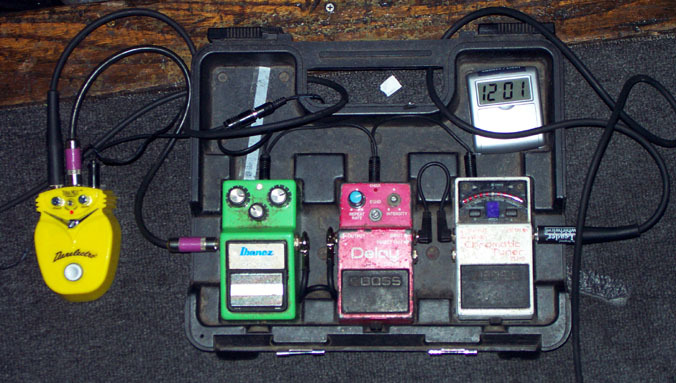 So I ask if I can take a picture and Ralph says...yeah, but why don't you get one of Steve Vai's setup? 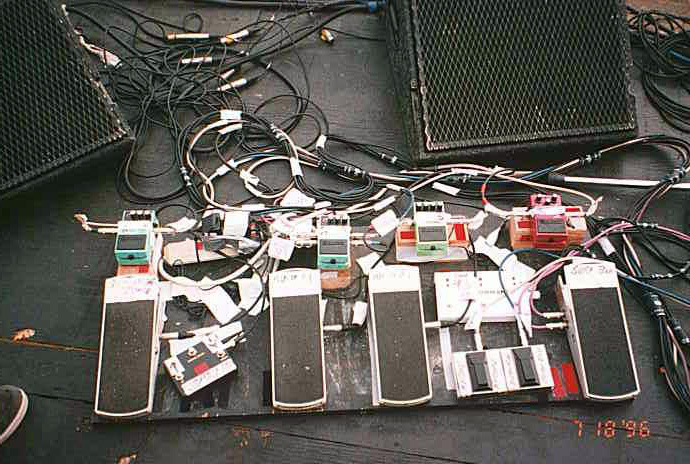 Well...I will if the opportunity presents itself. 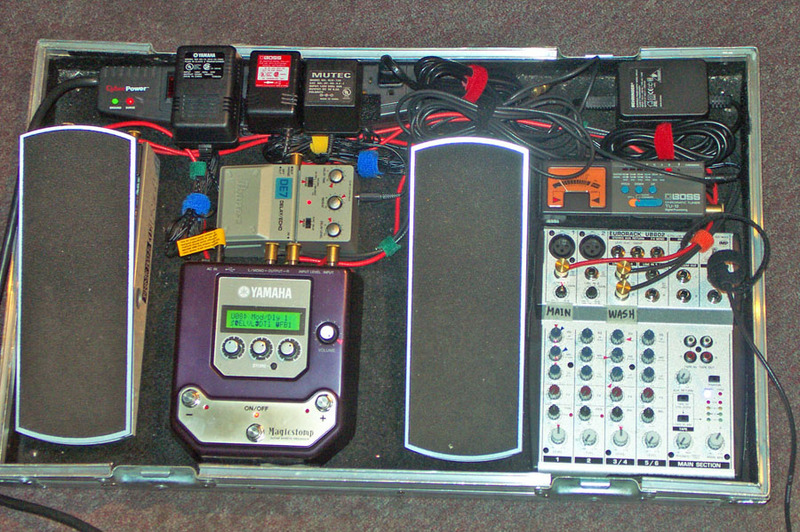 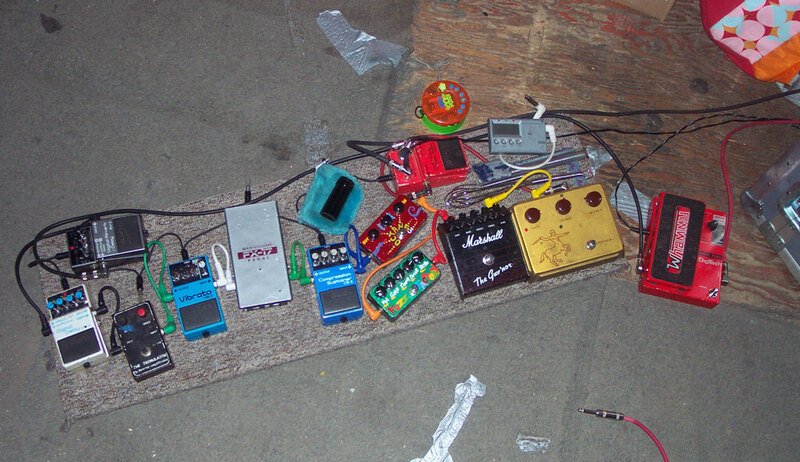 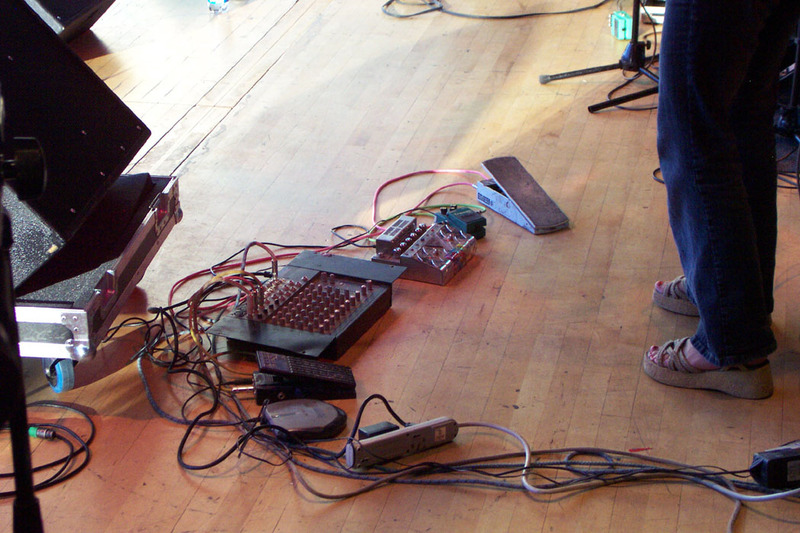 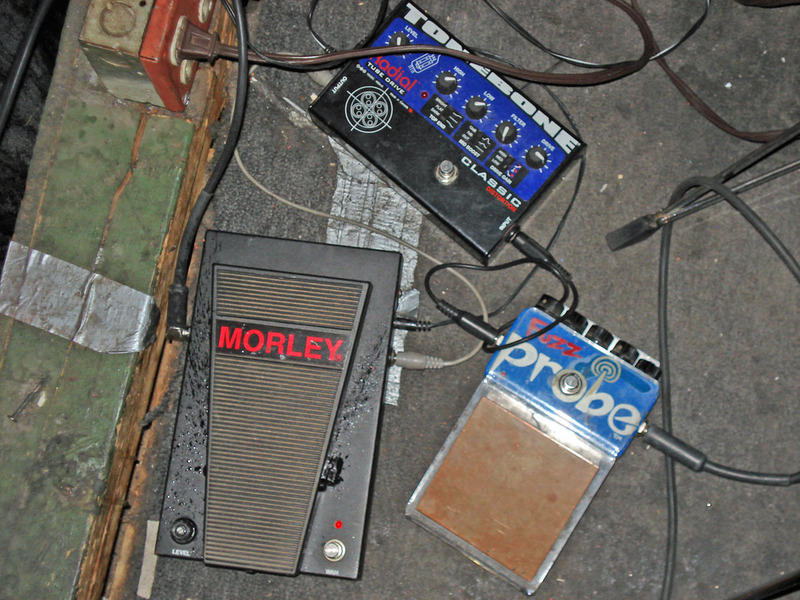 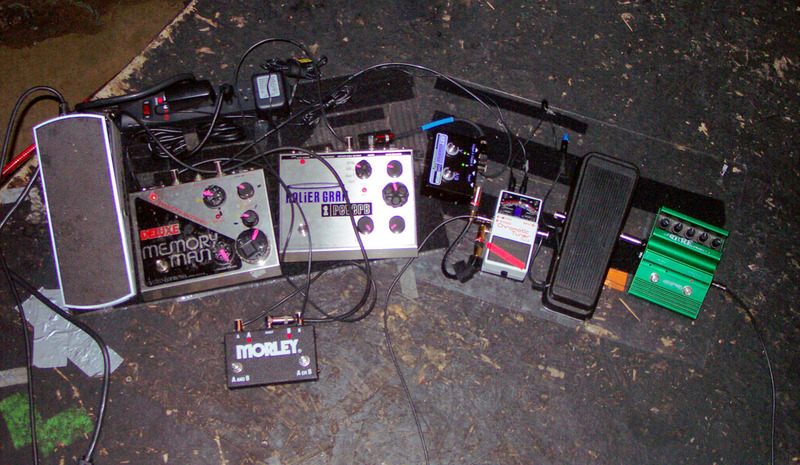 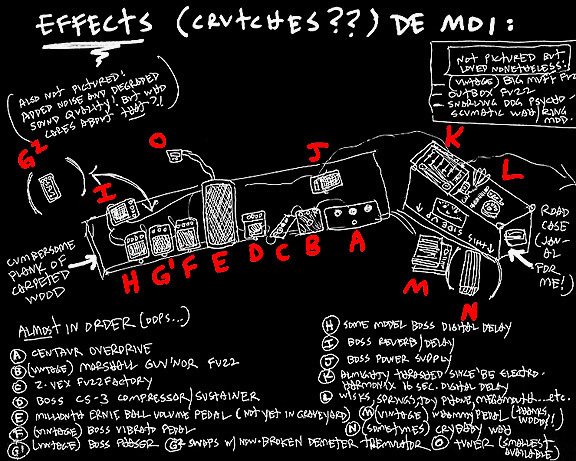 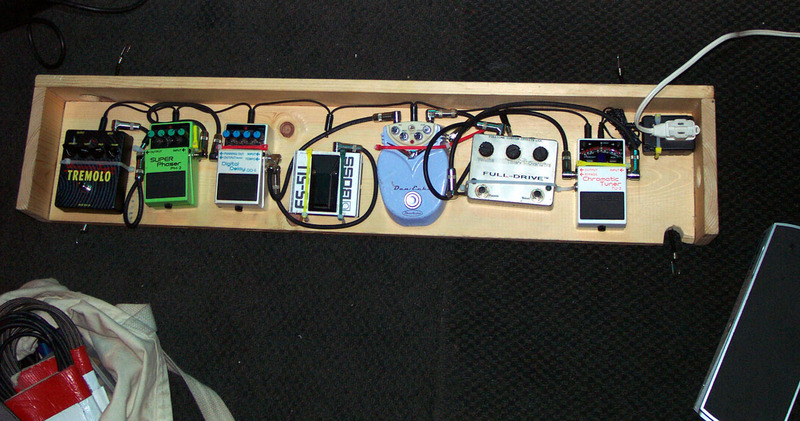 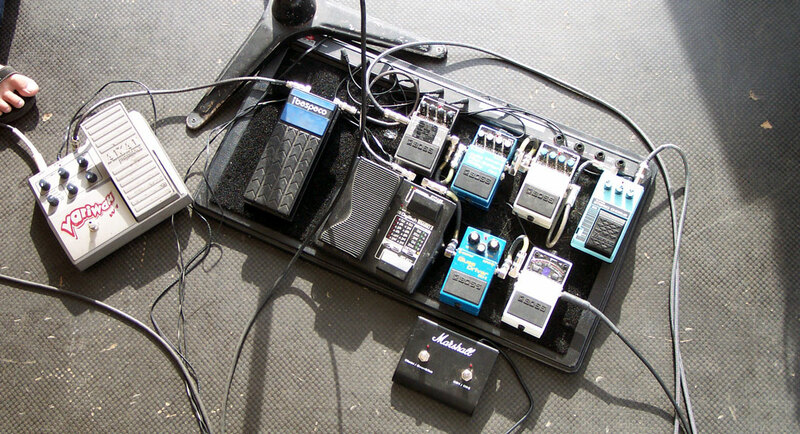 In the meantime, pedalboard setups of the poor and obscure...Click on the thumbnail to get the big picture. 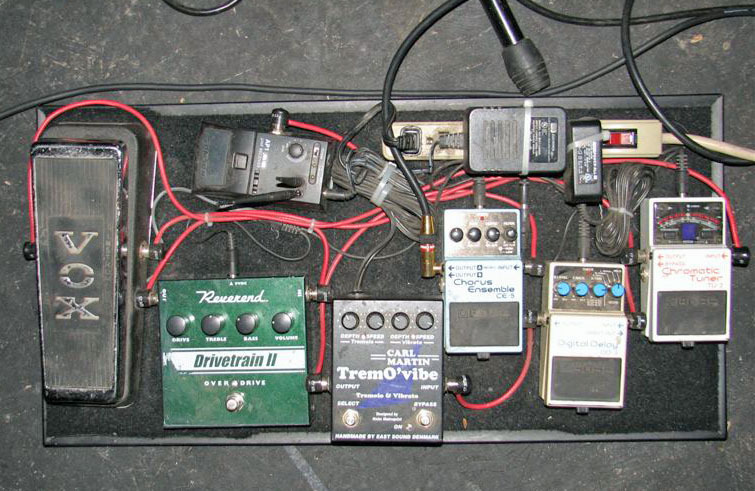 And in July, 2002, Jim Thomas has "simplified"